Your makeup trial is a key appointment leading up to the wedding. In this session we will discuss everything about your desired look for the day. The design of your dress, colours of the bridal party, how you will be having your hair and how you see your makeup on the day. I will then create a look for you reflecting this. Whilst you want to look absolutely beautiful and radiant when you walk down the aisle, I understand that you still want to be YOU. To make a booking complete the contact form. Which is the Best Bridal Makeup Artist in Mumbai? On your wedding day, I will come to your home/venue/ hotel to get you and your entourage ready. Fees are;Brides plus Entourage of bridesmaids/ mother of the bride/groom & friends/ relatives. surcharge for early starts prior to 6am. Please note; I travel with a kit that weighs a good 15kg plus a chair. Parking is very important and is to be provided at the client’s expense. Whilst I concentrate only on Makeup for bridal, I have over the years worked with many Hair Stylists and now have a team I can call on should you also require a fabulous hair stylist for your wedding day. For more information on my services or to request a quote, please complete the contact form. 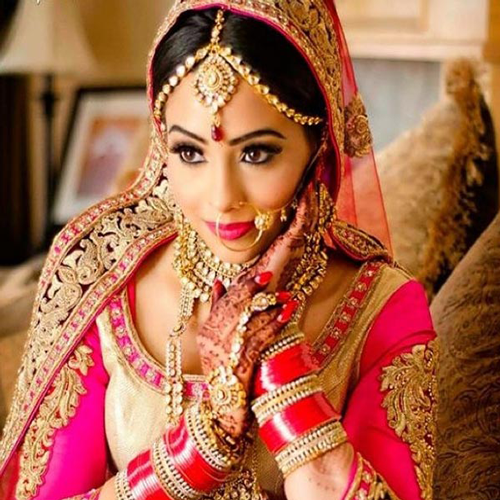 How to Choose Bridal Makeup Artist in Mumbai?